I really like the appearance of this body oil, and I loved its promise of firmer, more even-looking skin. I also really like the fragrance of the oil, which I think comes from the lovely avocado and macadamia oils. I had very high hopes, but I wasn't thrilled with this body oil. It is extremely runny, so it runs very quickly out of the container. It should really come in a pump dispenser as it is very difficult to dispense an appropriate amount. I also found the oil to sit on the skin and not absorb very quickly, leaving me feeling a bit greasy until it absorbs. I haven't seen any huge improvements in the firmness of my skin since using this body oil. It does smell and feel nice though! Only tip the container up slightly, as the oil runs out very quickly. Why have I not discovered this sooner? Absolutely love this product. It’s a lovely lightweight oil that absorbs quickly into skin without leaving a residue. It makes my skin feel silky smooth and soft and I do think that it does help improve skin tone and firmness when used regularly. I love the subtle fresh scent that isn’t overpowering.  It’s a great price and feels like a luxurious product for a bargain price. I initially bought this product when 50% off on sale to replace my usual coco butter oil type product. I was love the look of the bottle and that it is transparent so you can see how much product you have left / are using. The oil is very light in texture not heavy so a little goes a long way as it spreads so easily. 2 squirts will do my whole upper body easily without dragging the skin. The best thing about this oil is that it is easily absorbed and quickly. Leaves skin looking shiny, plump, radiant and healthy. Feeling fresh, smooth and supple. I have only been using 2 weeks so have not yet seen any difference with regards to firmness / stretch mark relief, but I am yet to find a product that does this for me anyway. Will defiantly buy again. I bought this oil to use on my stretch marks. It comes in a very large bottle, so you get a lot of product for your money. The oil has a nice scent that isn't overpowering, I'm not sure how to describe it but it isn't that distinct Nivea scent. I think perhaps different packaging would make the product less messy to use as it is VERY runny. This oil has left my skin feeling soft and smooth, it takes a few minutes to soak in but it doesn't leave behind any greasy residue. I think it has slightly reduced the appearance of my stretch marks too. Be careful with the bottle, it's very easy to make a mess! People with dry skin, people who like body oils. I got this bottle as a gift, usually I don't use oils to moisturise but I thought to try it. I don't have dry skin on my body but this oil promised firm skin in 2 weeks and also promised Even skin tone. I thought to use it around my Stomach area to firm loose skin an smoothen the skin in that area. The oil has a strong floral scent. Not the usual nivea signature scent but something different. The oil takes some time to absorb in my skin. I have to wait a while before I put on clothes because I am afraid my clothes would get an oily Stain. After using the oil for a month I did not see much difference to my skin. I looked at the Ingredients and I am not much impressed. there is not much natural oils in this and a lot of Chemical names. the bottle is huge and it will take a long time to use this bottle up. Having a skin very prone to dryness I got this NIVEA 4 in 1 Firming Body Oil to see if that helped. I dont usually like oil as it often doesn't seem to absorb into my skin well, however I found that this Nivea seems to work well and not leave me feeling greasy. Nivea is a well known brand and easy to find being in its dark blue colour. My skin feels softer and nicer somehow although I dont think much can be done for firming it up now. You dont need much as the oil seemed to go a long way, the bottle is plastic as is most of Nivea products are so its handy in the bathroom and I use it after my shower because you can use it on your wet or dry skin and I prefer to use it on wet skin as it feels as if it absorbs better. The price is good $under $15.00 for 200ml and I got mine in my local chemist. I have been using this oil for quite some time now. This oil is a light weight refreshing oil that is very Hydrating and absorbs well into my skin without having that heavy oily feeling or film on my skin. I like that it isn’t heavily perfumed that’s so drying to the skin. I use it morning and night. It’s great when you’re going out to add the bit of shine to your arms, chest and legs! The plastic bottle is great. Having a body oil in the bathroom makes me feel very safe that the bottle won’t slip out of my hand so easily like glass would. My skin definitely looks and feels smoother over time but I don’t feel it’s any firmer. I would recommend it and will continue buying it. Give yourself a bit of time for it to settle in before dressing. Im almost to the end of my Nivea 4 in 1 Firming Body Oil and I'm quite happy with this one. Packaging is the normal Nivea dark blue colour , a 200 ml bottle with a screw top lid. When pouring oil it can come out too quickly so just need to be careful. It's very lightly scented , a nice fresh smell not over powering what so ever. The oil itself is really light and not very greasy. Once applied and moisturised into the skin , it immediately absorbs into the skin leaving no residue or greasiness. This oil could easily be used in the morning which i loved because i usually only use body oils in the evening due to them not absorbing too well. Instantly my skin felt soft and smooth after applying the product. I could see straight away that my skin was less drier , this is very hydrating and great for anyone with dry skin. Unfortunately i didn't see any difference to the appearance of my stretch marks nor was my skin any firmer. Maybe if i continue to use this for longer but considering I'm almost at the end of the bottle i dont think so. Beside those negatives i still think its a wonderful affordable body oil as it very hydrating and the appearance of my skin has improved ! This product comes in a blue squeeze bottle, it smells wonderful, works into the skin very well makes you feel very soft and fantastic. Have not noticed it's firming or even colour promise happing yet. The product is easy to use squeeze into your hand and apply. The smell is fantastic my favourite part of using this product. It absorbs well and doesn't leave greasy marks on your cloths. 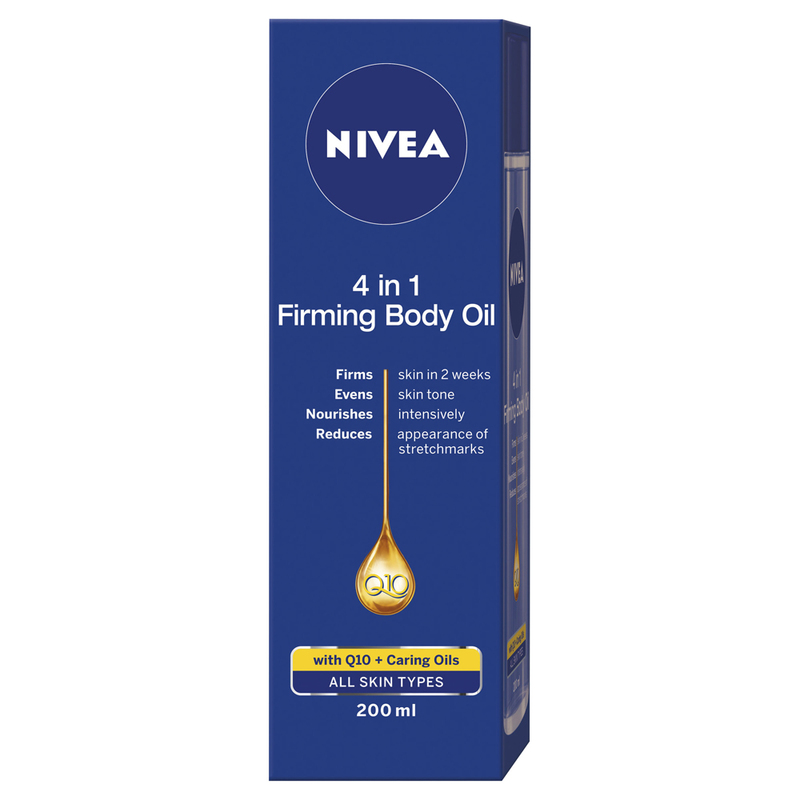 This NIVEA 4 in 1 Firming Body Oil is a staple for me, I have had dry skin for as long as I can remember and when this came out, it worked straight away. It is lightweight and no overpowering fragrance. Definitely worth giving a go if you have dry skin. Gives you fairly instant results, goes on much better than a cream and easier to apply, very fast process for those at are time poor. Put on after your shower or bath so it soaks in overnight. Anyone but particularly those with dry to very dry skin. Those wanting fairly quick instant results. I have a very dry patchy skin specially in winters and i was in need of that magical product which provides me hydration and repairs the demages on my skin.i have sensitive skin and nivea products suits me so swell it contains oils in it which make me feel relaxed i massaged this on my body after taking shower. It smells so good n devine.very smooth texture and i must say it is so far the best moisturizer for me it deep conditions the skin with its amazing oily formula.and not so greasy.this firming moisturizer firms your skin so swell you really feel your skin get plumpy after that.this repairs all the demages the weather bought you to your skin.i am so glad that i am able to try this product. Squeeze a little amount of it in your palm rub your hands and then apply to your body.massage thru. While this did make my skin feel nice and soft - which is obviously what I was hoping for from this product - but I found that it just sat on my skin and took an awful long time to ‘sink in’. I felt very oily for a long time after apply right out of the shower to wet skin and I didn’t like putting my clothing on while still feeling this way. Apply when your skin is still wet, straight out of the shower. Those looking for soft skin, but beware.... I found this very oily. I have very dry flaky skin especially on my arms, legs and feet. The body oil does not leave a greasy feeling after application and is absorbed into my skin very quickly. I apply the oil after bath and it has a lovely refreshing fragrance. The skin feels soft and smooth all day. And the oil keeps the skin moisturised all day compared to creams. Not sure if it has helped in firming my skin or reduced stretch marks but I am into my second bottle and will continue using it. I found this good for the legs but I didn't want to put it anywhere near my arms because I have long hair and it would have made my hair greasy if it got into it. Be careful not to put too much of this on - which is what I did because I'm using a sample sachet and it just poured out pretty quick! It is a nicely scented oil and it is clear. It's quite runny so be careful of that but I suppose most oils are runny although this seems to be a little more so. It doesn't seem to sink well into my dehydrated leg skin but maybe that's because it is so very dry. Anyhow, it does create beautiful glowing skin on my legs. I don't find it hydrated them or nourished my skin much but maybe if I used this regularly it could. Overall, if someone was after a very glowy leg look then they may love this oil. Careful not to use too much. I was really disappointed with the Nivea 4~1 body oil. First the fragrance was no pleasant, usually Nivea have a signature fragrance that is fresh and lovely, but this had an unpleasant scent. Secondly, the oil did not absorb into my skin. My legs are exceptionally dry so I was really looking forward to getting good hydration but I was left wanting. Three hours after application I still had greasy residue on my hands and legs and the next day my skin was as dry as usual. I haven’t used it enough to see if it firms at all. The bottle says it can be used wet or dry but with the amount of greasiness I can only see it being a massive slip hazard if used in the shower. I bought this Nivea 4 in 1 Firming Body Oil after seeing the trial team reviews here on BH. I like most Nivea body lotion and use them frequently; I love using body oil; I also like the word "firming" as I think it would be perfect for me post-pregnancy body. I didn't think I fit into the trial team age bracket - I think this product is meant for an older age group. Nevertheless I would like to give this a go. Unfortunately, it was a disappointment. Firstly, I did not like the scent at all. I think initially it was quite overpowering, and it is not the Nivea signature scent which is clean and crisp - they must have added something that is more floral, but whatever it is, it does not suit me (maybe because I was expecting just the Nivea signature scent and nothing more). Other than that, the first impression was actually not bad - the oil is not greasy, and it leaves my skin quite silky to touch after application. The design of the bottle can be improved - it is meant to just have the oil poured out (instead of pumped out or sprayed out), but I found it difficult to control. As the oil is completely transparent, sometimes I pour out too much and other times I did not pour out enough. I found that I have to use quite a lot of this oil - I have used about one sixth of the bottle after only 5 days, so one bottle will last me just a month. After a week's use however, I noticed that my skin was significantly drier than prior to starting on this body oil. My skin became itchy. Parts of it also became scaly and bumpy. This is partially due to winter, and my habbit of showering twice a day in hot water. Yet, usually a good body lotion or a good body oil (e.g. 100% sweet almond oil, or macadamia oil) would balance the hydration level of my skin. The Nivea body oil fails to do this. The body oil probably contains quite a lot of "base" (Caprylic/Capric Triglyceride) with just a small amount of the plant-based oils. Since my skin is used to the hydration level provided by the more nourishing plant oil, unfortunately the Nivea firming body oil is not suitable for my skin. I have discontinued using it after a week because my skin looked and felt dry and dehydrated. However, I would like to give this a go again in summer, when my skin is less prone to dryness. It is quite difficult to dispense the right amount - transfer to a pump bottle if possible. Perhaps warmer season / summer, as I found this oil not hydrating enough in winter. I have very dry skin and soaked in very well. It made my skin feel soft and smooth. I used it straight after my shower. It can feel a little greasy before it drys but definitely has improved my skin. Its a good price to considering some of the costs of moisturizers today. I dont notice a great deal of firming on my body but that isn't what i bought it for. I will be using this as my go to moisturizer from now on. People with dry skin or want to gelp improve stretch marks. Can a body oil firm your skin in just two weeks?